Across the country, chronic underinvestment has left roads, bridges, water systems, and other critical infrastructure in need of replacement or costly repair. Public financing is the least expensive way to meet these needs. But to fund the gap, some states and cities are turning to contracting arrangements called “public-private partnerships,” or “P3s” for short, which use private capital to finance public projects. 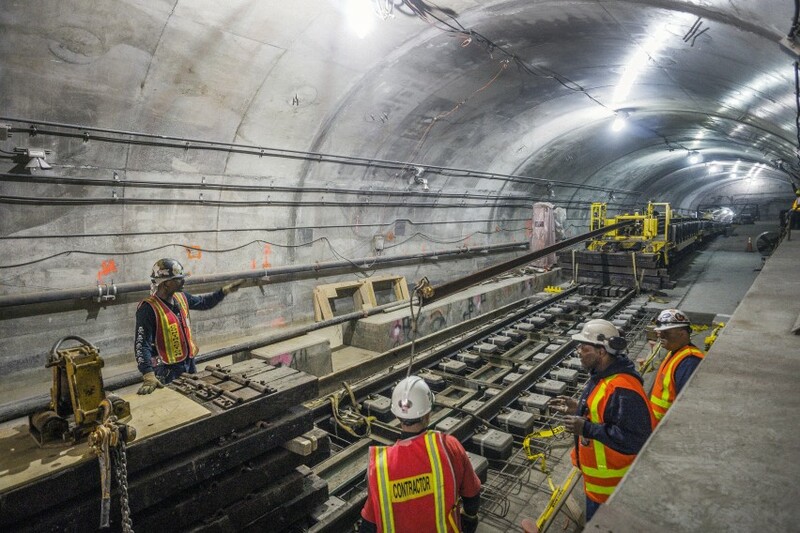 If done right, infrastructure projects—however they’re financed—can tackle inequality by boosting economic growth and providing quality jobs for disadvantaged communities. But since capital in P3s is more expensive than in public financing, and the public loses control over many aspects of P3-financed infrastructure, we should demand even more public benefit in return. Today, along with the Partnership for Working Families (PWF), we released a report to help make sure P3s provide much-needed pathways to the middle class. The report, Building America While Building Our Middle Class, outlines best practices for policymakers considering infrastructure projects—whether publicly or privately financed—to make real economic and social impacts in their communities. Since capital in P3s is more expensive than in public financing, we should demand even more public benefit in return. If they include job quality and equity policies, P3 infrastructure projects can be vehicles for creating career opportunities for low-income families, women, people of color, and those with a criminal record. The report describes successful publicly funded projects that have done just that, including the largest project in Seattle’s public works history. We’ve got a lot of work to do. Earlier this week, the credit rating agency Fitch estimated that replacing the country’s lead pipes—the sort that’s contaminating water in Flint, Michigan—will cost as much as $50 billion. And that’s only a fraction of the $3.6 trillion the American Society of Civil Engineers (ASCE) has estimated it would cost to make all our roads, bridges, water systems, and other critical infrastructure safe by 2020. As we close this gap and rebuild America, we can also rebuild the middle class. But that means we can’t lose sight of maximizing both economic and social benefits for our communities.